Thug an fhoireann Faoi 20 leo an comórtas nua, an chéad Craobh Faoi 20B an Iarthair, nuair a fuair siad an ceann is fearr ar C.L.G. An Spidéal / CLG Oileáin Árann ar Pháirc na mBreathnaigh ar an gCnoc ar Aoine an Chéasta le dhá phointe, 1-13 le 0-14. Cluiche crua spórtúil a bhí ann ó thús go deireadh. 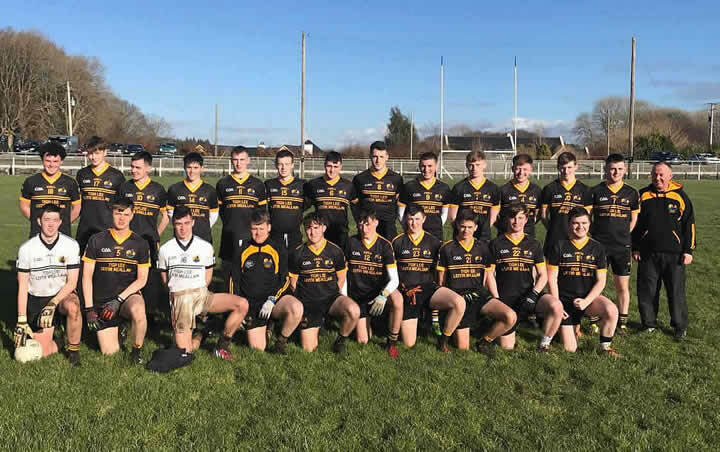 Bhí cóir na gaoth ag na leaids thoir don chéad leath agus d'úsáid siad go héifeachtach í agus bhíodar chun cinn le 7 bpointe ag leathama, 0-10 le 0-3. Bhí dhá dheis iontach ar chúil ag Naomh Anna sa gcéad leath ach theip ar iarrachtaí Mhichíl Uí Churraoin agus Dylan Seoighe an eangach a bhaint amach. Chuir leaids Naomh Anna tús iontach leis an dara leath agus taobh istigh le 10 nóiméad bhí na foirne ar comhscór, 1-8 le 0-11. Bhí an-choimhlint idir na foirne as sin go deireadh na himeartha, iad ar comhscór arís faoi dhó ach chríochnaigh leaids na nOileán ní ba láidre le dhá chúilín ó chiceanna saora agus bhí na fir cúil thar barr sa chúig nóiméad deiridh chun an Chraobh Faoi 20 B a thabhairt siar den chéad uair agus áit a bhaint amach i gcluiche ceannais an Chontae i gcoinne seaimpíní an Tuaiscirt, Naomh Gabriels nó Naomh Breandán nó Seamróga Chortún. Scóráil Oisín Mac Donnacha 0-6, Mikey Mac Donnacha 1-2, Maitias Eoin Bairéad 0-1, Christopher Seoighe 0-1, Seosamh Ó Gubáin 0-1, Aonghus Ó Cualáin 0-1 agus Dylan Seoighe 0-1. Don Spidéal / Oileáin Árann scóráil Finnian Ó Laoi, mac le Joe Joe, 0-10, Seán Ó Maoilchiaráin 0-2, Peter Ó Donnchú 0-1 agus Benin Mac Donncha 0-1. 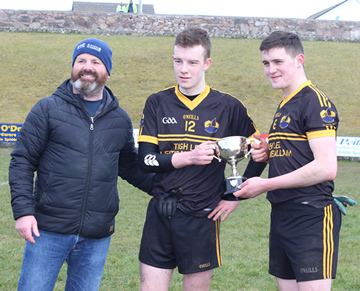 Pádraic Phete Mac Donnacha (Coiste Peile an Iarthair), Aonghus Ó Cualáin agus Pádraig Ó Fátharta.